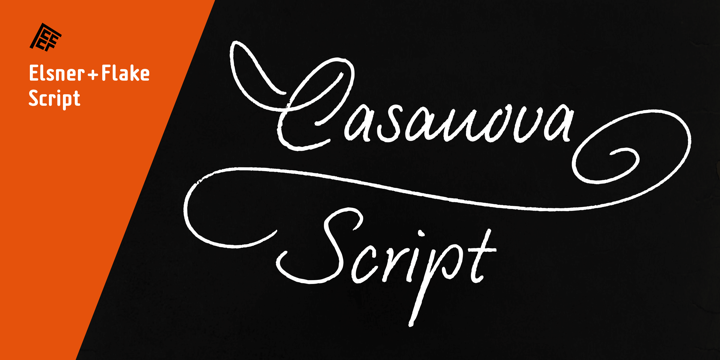 EF Casanova Script Pro is a calligraphic handwritten typeface created by Petra Beiße together with Günther Flake and published by Elsner + Flake which was ispired by the famous Italian Casanova. This cursive font is a digital script and it contains a wide range of Open Type Features, Simbols and Ornaments. It is ideal for wedding, invitation, Christmas etc. Have fun! A font description published on Tuesday, December 15th, 2015 in Elsner+Flake, Fonts, Gunther Flake, Petra BeiBe by Alexandra that has 3,248 views.